What happens if Mueller is out? House Democrats might follow the precedent set during Watergate—the last time that a president tried to thwart an investigation into election corruption by firing the Department of Justice officials conducting it. Mueller’s activities thus far have been laid out in plea deals and highly detailed “speaking” indictments, which provide far more information about the actions involved than strictly necessary for legal purposes. 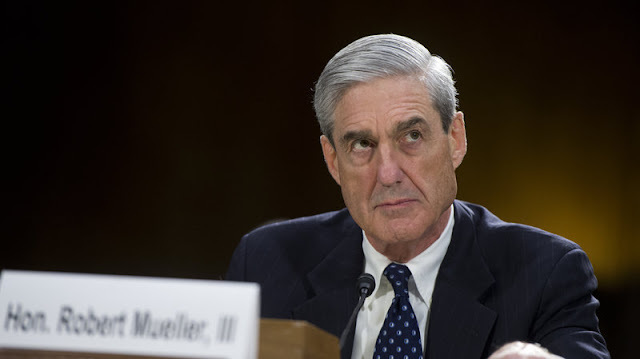 But according to the regulation that governs his appointment, at the end of his investigation Mueller must also provide the attorney general with “a confidential report explaining the prosecution or declination decisions reached by the special counsel.” Also upon completion of the investigation, if the attorney general overrules an action Mueller wanted to take, he or she must notify the chair and ranking members of the Judiciary Committee. It’s not clear what, within the scope of the regulations, would happen to such a report in the scenario laid out here, where Mueller got fired on some trumped-up claim of improper action. The only thing that would necessarily get shared with Congress is the report on why the attorney general had overruled Mueller, which wouldn’t necessarily include details of what else Mueller had discovered. Indeed, Neal Katyal, the former Obama administration lawyer who wrote the special counsel regulation under which Mueller operates, recently advised Rosenstein to provide a report to Congress before a meeting with Trump at which he might have been fired. But Rosenstein might not permit such reports under department regulations. Rosenstein has refused to share information on the investigation in the past, citing the Department of Justice policy on not confirming names of those being investigated unless they are charged. And thus far, even Republicans attempting to undermine the investigation have not sought investigative materials from Mueller, instead focusing on the FBI investigation up to the time when Mueller was hired on May 17, 2017. That’s partly because under rule 6(e) of grand jury proceedings, information can only be shared for other legal proceedings (such as a state trial or military commission). Yet a Watergate precedent suggests the House could obtain the report if Mueller were fired. Some Freedom of Information Act requests have recently focused attention on—and may lead to the public release of—a report similar to the one Mueller is mandated to complete. It was the report done by Watergate prosecutor Leon Jaworski, referred to as the “Road Map.” The Road Map consists of a summary and 53 pages of evidentiary descriptions, each citing the underlying grand jury source for that evidentiary description. In 1974, Jaworski used it to transmit information discovered during his grand jury investigation to the House Judiciary Committee—which then used the report to kickstart its impeachment investigation. Before Jaworski shared the Road Map, however, he obtained authorization from then-Chief Judge John Sirica of the D.C. Circuit Court. In Sirica’s opinion authorizing the transfer, he deemed the report to be material to House Judiciary Committee duties. He further laid out how such a report should be written to avoid separation of powers issues. The report as compiled by Jaworski offered “no accusatory conclusions” nor “substitute[s] for indictments where indictments might properly issue.” It didn’t tell Congress what to do with the information. Rather it was “a simple and straightforward compilation of information gathered by the Grand Jury, and no more.” Per Sirica, that rendered the report constitutionally appropriate to share with another branch of government. If Mueller—whose team includes former Watergate prosecutor James Quarles—were fired and he leaves any report behind that fits the standards laid out here, this Watergate precedent should ensure it could be legally shared with the House Judiciary Committee. The question is whether he has to share it with today's House Majority and what that means. Can they deep-six it? Do they have to share it with the minority? In the Watergate case it was Grand Jury material kept under seal all these years. It was just released last week. Will it likewise have to be kept under wraps today? I'm not sure. After all, the Starr Report was released on the internet and they even released the tape of the president's testimony. So who knows? This is probably going to be the end of Mueller and it will all be left up to the House Judiciary and Intelligence Committees to unravel. And the Senate is saying if the Democrats do investigate their Dear Leader they are going to pull out all the stops to retaliate, possibly including more investigations into Hillary Clinton --- which Matthew Whittaker, the new AG has said he believes must lead to an indictment. Get ready. This is going to get ugly, no matter what. BTW: Mueller and his team were very much aware that Sessions was going to be replaced probably by Whittaker. It was in the press. So presumably they have planned for it.